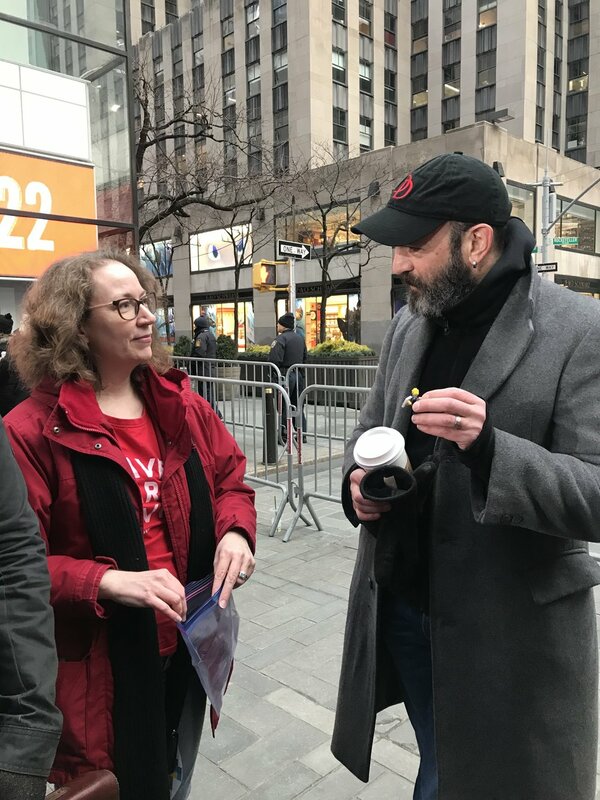 Come meet Team #SaveDaredevil and other Daredevil fans! Love Marvel’s Daredevil? Part of the #FandomWithoutFear? 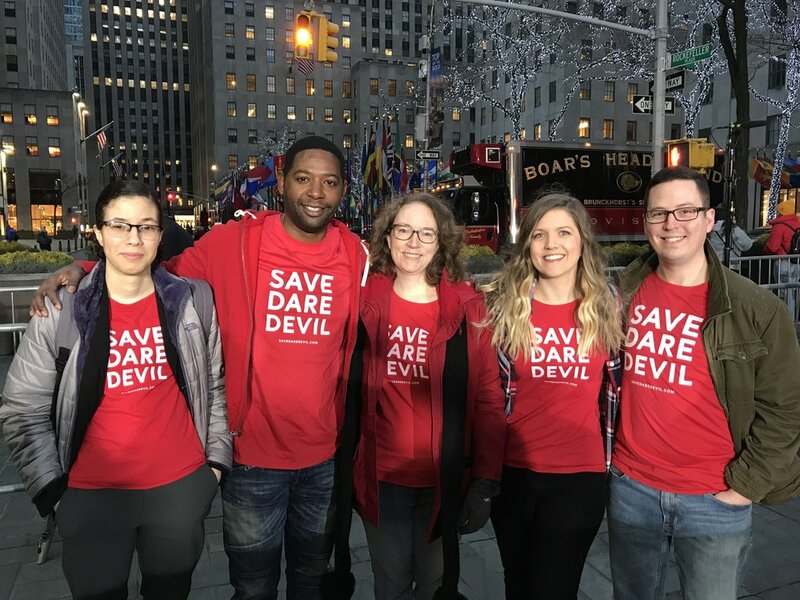 Want to meet members from Team #SaveDaredevil and other incredible fans? Come hang out with us IRL at one of our upcoming meetups! 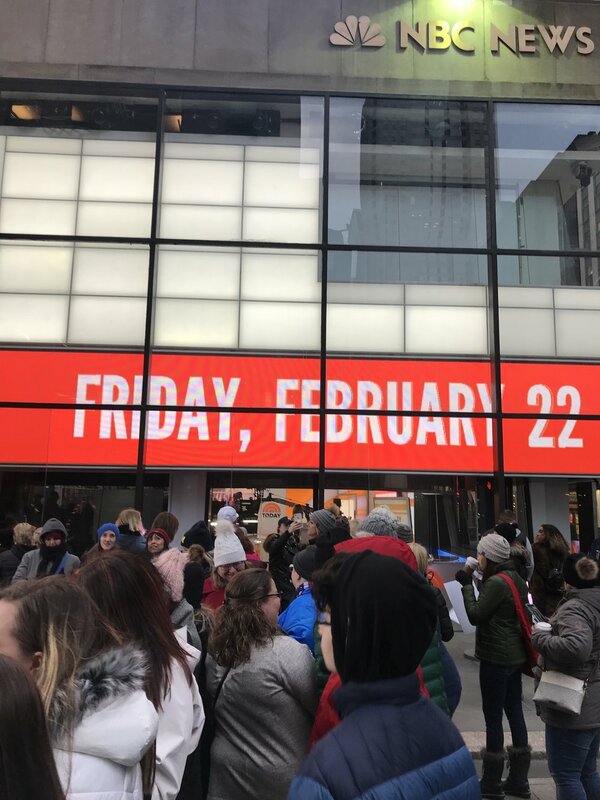 After our successful inaugural Fandom Without Fear Meetup in NYC, we want to continue meeting as many of the incredible fans that make up this campaign as possible - in as many locations as possible! 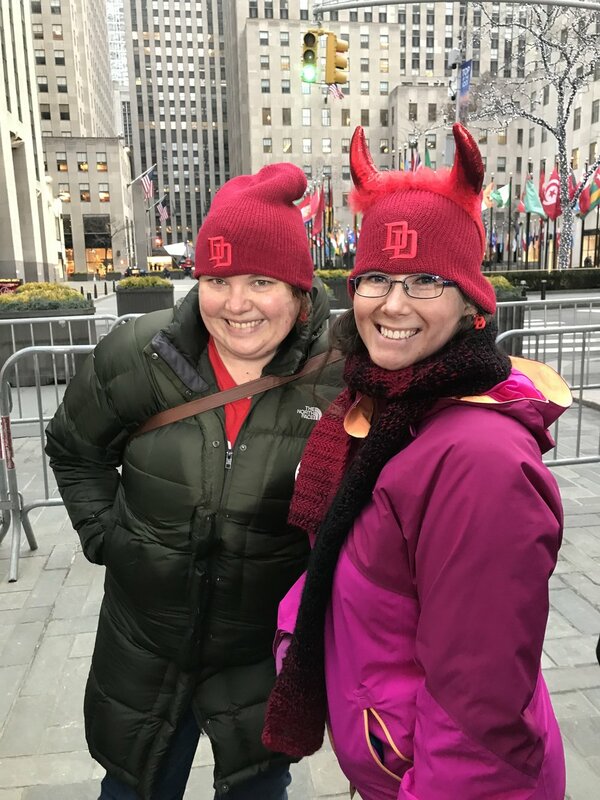 So we’re kicking off an official lineup of #FandomWithoutFear meetup events this spring and summer: just throw on your best Daredevil tee or your very own #SaveDaredevil shirt and we’ll show up ready to share some awesome swag, chat everything Daredevil, and strengthen more bonds in the #FandomWithoutFear. On this page you’ll find information regarding our currently scheduled meetups. Many of our upcoming events will occur at comic cons, and specific meeting times may not be scheduled until closer to the event date, so be sure to check back here and follow us on social media for all of the latest updates. And keep an eye out for more events to come - we hope to add more meetups in more cities! Will you be at Awesome Comic Con in DC this month? Team #SaveDaredevil will be there! Come hang out with us on Saturday April 27. Click on the image for more details! Going to Wales Comic Con later this month? Team #SaveDaredevil will be there both days and will be holding a FWOF meetup on Sunday April 28. Click on the image for more details! Calling all UK fans! Our first ever London FWOF meetup will be on Thursday May 2. Will you be in or around London that time? 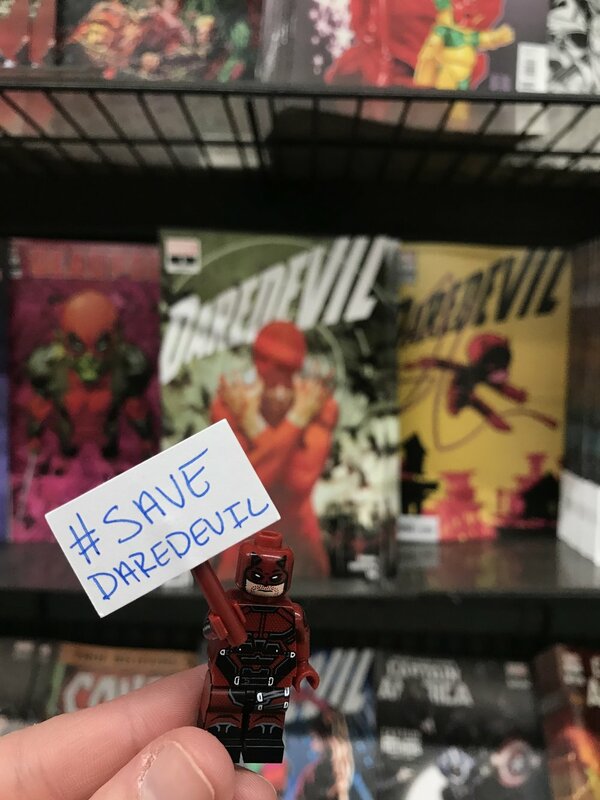 Come meet Team #SaveDaredevil and share your love for DD. Click on the image for more details. Going to be at Fan Expo Dallas? So are we! Come hang out and talk all things DD with members of Team #SaveDaredevil! Click on the image for more details. Planning to attend the largest Comic Con in the US in 2019? 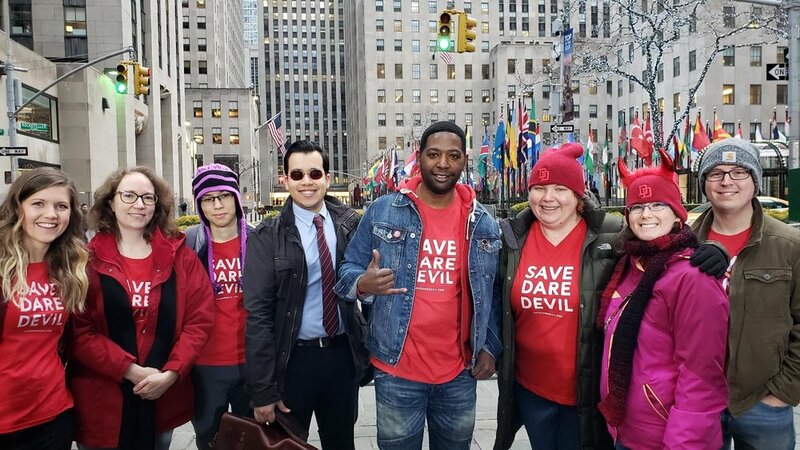 So is Team #SaveDaredevil! Come join us at SDCC in July and share in the Save Daredevil love for a full, glorious weekend! Click on the image for more details.